ELSOFT (0090) forming higher high & higher low. Subsequent support @ RM1.95 level. 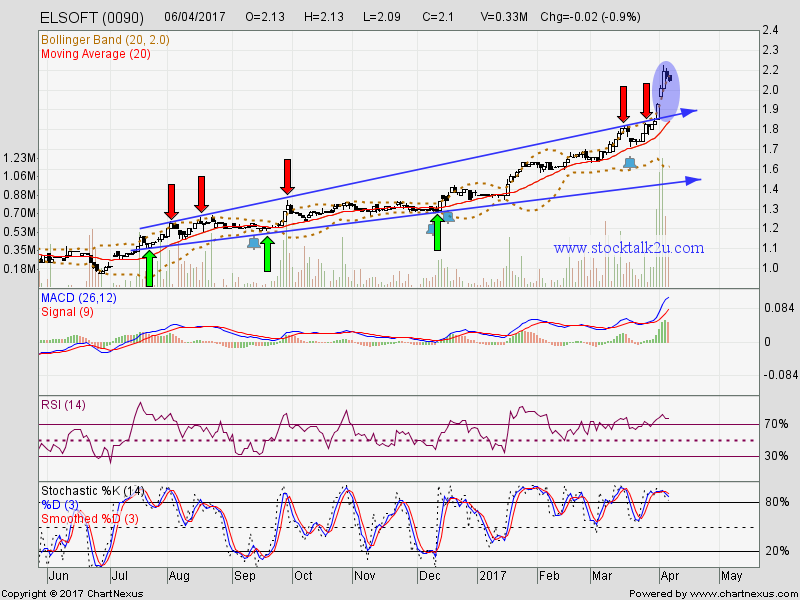 Immediate resistance @ RM2.15 level. 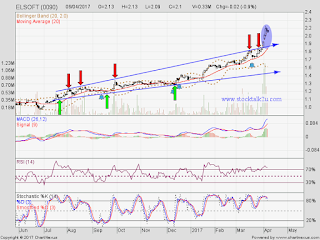 Due to overbought, high possibility will consolidate sideway or retest support level.